Next Show: Fri. Apr. 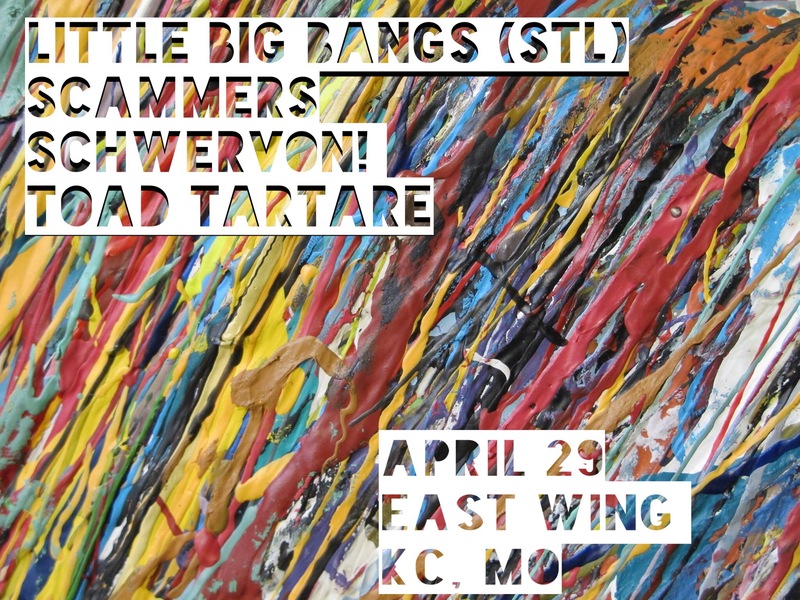 29 KC, MO @ East Wing w/ Little Big Bangs (St. Louis) + Scammers + Toad Tartare | Schwervon! This entry was posted in Uncategorized and tagged east wing, little big bangs, scammers, schwervon live. Bookmark the permalink.